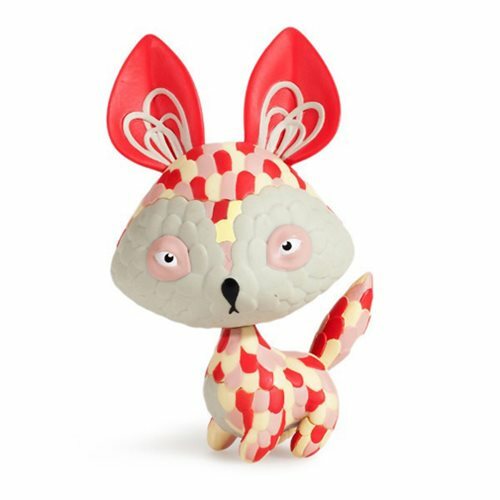 Kidrobot and Jordan Elise collaborate to create the Horrible Adorables collection! This blind box collection features strange and wonderful wonders inspired from Jordan Elise's passion for novelty repeat patterns and the peculiar part of her imagination. Enjoy silly creatures like Haremus, the red dog-like creature. Collect them all for a unique and magical world. The Horrible Adorables Haremus Vinyl Mini-Figure measure about 4-inches tall. Ages 15 and up.